During your stay you will be hosted at the recently renovated and award-winning Best Western Kendallville Inn where you will be made to feel right at home. The locally owned Best Western Kendallville Inn offers you big city amenities with warm, small town hospitality. We even offer “Special Perks” for our golf visitors during your stay with us! 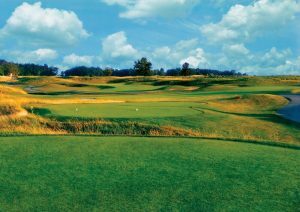 Cobblestone Golf Course was selected as one of “America’s Best New Courses for 1999 and “Best Places to Play” in 2002 and 2003. This classic 18-hole layout features bent-grass tees, fairways and greens, with multiple hazards to challenge each and every shot. 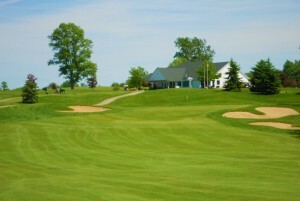 Noble Hawk Golf Links is one of Indiana’s most unique public golf facilities and is the perfect combination of Links & Traditional Golf. Variety, Challenge, and Beauty are the theme at Noble Hawk as each hole is visually stunning and when finished provide a lasting memory. We look forward to your visit!! 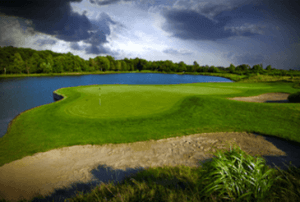 Cobblestone and Noble Hawk each offer a world class golf experience with contrasting design features and atmosphere. Rest assured each is of the highest quality and the friendly staff are there to ensure an outstanding and fun day. Our Golf Coordinator is standing by to assist you in designing the perfect golf vacation. 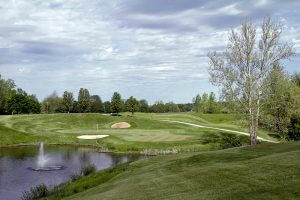 Call Golf Coordinator, Kathy Dues, at 866-719-4608 (toll free) to schedule your Great Indiana Golf Package.